Live-action remakes of classic childhood animated movies have become a trend in Hollywood, with some of the most recent including Cinderella, Beauty and the Beast and The Jungle Book. Pokémon will soon join these ranks with the release of Detective Pikachu next spring, a new franchise collaboration between Legendary Entertainment and the Pokémon Company. The film features CGI versions of the creatures and gives Pikachu the ability to speak. Legendary Entertainment purchased the rights to the movie in 2016, shortly after the release of Pokemon Go, an augmented reality game that caused a worldwide frenzy. Set in Ryme City, Pokémons and humans exist side-by-side and most Pokémon are trained by humans and used in battles. Unlike his fellow Pokémon, Pikachu wants to be a detective rather than fight. While in the past Pikachu has been known for only saying “Pika, pika,” or “Pikachu,” in the film he is voiced by Ryan Reynolds (Deadpool, The Proposal) and is capable of talking like a human. Unfortunately people aren’t able to understand the creature until he meets Tim Goodman, played by Justice Smith (Jurassic World: The Fallen Kingdom). The film centers around Tim’s quest to find his missing father and his reluctant acceptance of PIkachu’s help. Pikachu claims to be a great detective and tells Tim the only way he’ll be able to find his father is if they work together. The trailer has been met with controversy by some critics. From the Pokémons’ looks, such as PIkachu being fuzzy, to Pikachu’s ability to talk — in Deadpool’s voice no less — the trailer has sparked Twitter threads and even a parody video with Danny DeVito voicing Pikachu. Despite the rants that have appeared, Pokémon fans appear excited about the new film. Detective Pikachu is set for a May 10, 2019 release date and will be distributed by Toho in Japan and Warner Brothers outside of Japan. Rob Letterman (Goosebumps) directed the film with Joseph M. Caracciolo and Tsunekazu Ishihara serving as executive producers. Peter Jackson’s (The Lord of The Rings: The Fellowship of the Ring) World War I documentary, “They Shall Not Grow Old” premiered at the London Film Festival on October 16. Set for a U.K. television release on November 11, Jackson’s agent showed the film to Hollywood distributors in hopes of bringing it to the big screen. Moved by the production, Warner Bros. Pictures acquired the global distribution rights to the documentary and will likely push for a theater release by year’s end. Jackson’s documentary brings viewers back to the turn of the 20th century with restored and colorized historical footage and features audio recordings of veterans describing their experiences. Jackson even created a 3D version of the film, bringing audiences to the front line alongside the soldiers. Despite it being his first documentary, the film is being praised as a “technical dazzler with a surprisingly humane streak,” by Variety. Commissioned by 14-18 NOW, a U.K. arts program, the Imperial War Museum and the BBC, “They Shall Not Grow Old” held a special appeal for Jackson, whose grandfather fought for Britain during WWI. When Jackson agreed to the project years ago, he planned to create a half hour program, but the project grew quickly since Jackson had access to 100 hours of video and 600 hours of audio recordings from British soldiers. It soon became a full length feature film and Jackson’s manager showed it to distributors in Hollywood, hoping the film may have life beyond academics. Toby Emmerich, chairman at Warner Bros Pictures Group, fell for the film and bought the distribution rights. The film will air on BBC in the U.K. on November 11, Armistice Day. This year’s Armistice Day marks 100 years since guns were silenced, ending the first World War. 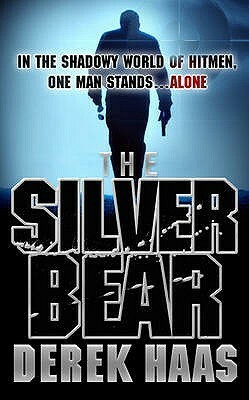 “The Silver Bear” is the first installment of the “Assassin Books” written by famed screenwriter Derek Haas (Wanted, 3:10 to Yuma). Published in 2008, the story follows Columbus, a skilled hitman, as he pieces together his past and takes out high-profile targets. Nickel City Pictures optioned the book’s rights last year and has since partnered with Lionsgate to bring the project to life. This week it was announced that Michael B. Jordan (Black Panther) will headline the cast as Columbus and produce the project. Jordan’s latest movie, Creed II, hits theaters next month. Told from his point of view, “The Silver Bear” follows Columbus as he plans to assassinate presidential candidate Abe Mann — also known as his father. Columbus is known in the criminal underworld as “Silver Bear,” a Russian term for an accomplished — and well paid — assassin, so given because their shots never miss. As he plots to take out his mark, Columbus begins to assemble details from his past and realizes he may soon be on the wrong end of a gun. Frank Baldwin (The Godmother) signed on with Nickel City Pictures to adapt the book for the big screen after they optioned the rights in 2017. Nickel City hopes to adapt the other books in the series as well and create a new action franchise. “We are confident that the underlying work by Derek, combined with Frank’s writing style and enthusiasm, will set the stage for a successful franchise with a strong first installment,” Nickel City’s Vishal Rungta told Deadline last year. Production will be a combined effort between Jordan’s Outlier Society Productions banner, Lionsgate and Nickel City Pictures. Vishal Rungta, Mark Fasano and Ankur Rungta of Nickel City pictures will serve as producers alongside Jordan. Derek Haas, Michael Garnett and Tobias Weymar have signed on as executive producers for the project. 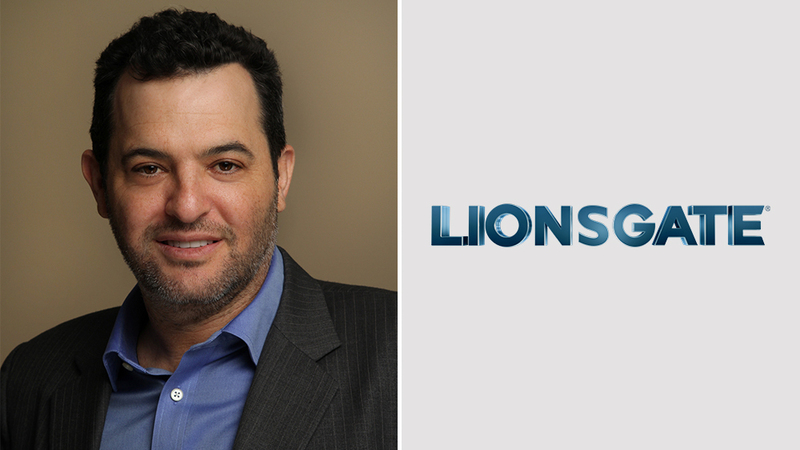 David Spitz has signed a long-term agreement to remain president of Domestic Theatrical Distribution at Lionsgate. Spitz has worked on world famous films including “The Hunger Games” franchise and “La La Land.” In addition to these successes, he helped establish new brands for the company, including Pantelion and Lionsgate Codeblack Films. Spitz began his career as a film buyer for Mann Theaters, then as a regional branch manager for MGM Distribution. In 1996, he joined LIVE Entertainment as the Western Division Manager. When LIVE Entertainment became Artisan, Spitz remained on staff and held several executive positions. When Lionsgate acquired Artisan in 2003, Spitz came along and continued moving up the ranks until attaining his current position in 2009. Lionsgate has praised Spitz for his many talents, such as seeing opportunities that other studios overlook, like holes to fill in the release calendar. He also works in a variety of genres, as seen in his credits, where he has done everything from action-adventure films to musicals. He’s also proven instrumental in expanding the company by helping build the Pantelion Hispanic film brand and Codeblack Films. Pantelion, the first Latino Hollywood studio, produced Instructions Not Included, which is now the highest-grossing Spanish-language film ever released in the United States. Codeblack Films is an urban film label focusing on serving the world’s black community with a diverse portfolio of feature films. Upcoming Lionsgate releases include “Hunter Killer,” “Robin Hood,” “Midway,” and “Parabellum,” the next chapter of the John Wick franchise. Middleton Media has optioned the rights to the book “Breaking Cover: My Secret Life in the CIA and What it Taught me About What’s Worth Fighting For.” This memoir, written by former CIA agent Michele Assad after she was cleared to drop her cover, details her time serving in the Middle East alongside her husband, Joseph. While the screenplay is still being adapted by Michael Russell Gunn (The Newsroom), early reports state that the film plans to focus on the Assad’s relationship while they were working undercover, as well as the humanitarian mission they planned and executed after they left the agency. Growing up in rural Florida, Michele never planned to fight terrorism, but after meeting Joseph in high school, traveling to Egypt and studying the Middle East in college, she became interested in the region. On a whim, she submitted an application to the CIA and was accepted, as was Joseph. Michele’s book has offered readers a different perspective on the Middle East and the film intends to bring that view to the big screen. “Breaking Cover reveals a layer of the world that we don’t ordinarily get to see, and Michele has harnessed her vast political knowledge, understanding of the region, and natural gifts as a storyteller to craft a memoir that feels like a thriller,” John Powers Middleton and Alex Foster told Deadline Hollywood. Middleton and Foster are serving as producers on the project for Middleton Media. “We’re excited to be partnering with the talented Michael Russell Gunn on the script and can’t wait to bring this incredible true story to audiences everywhere,” they said. Adam Ciralsky (The Somali Project) and P3 Media will serve as executive producers alongside Luke Franek (The Maze Runner).